The first vintage of this wine was released in 1979, which will immediately tell you that this producer is one of the classic and pioneering wineries of the Willamette Valley. What's great is that although this wine is actually quite a large production at 17,425 cases, about 75% of the fruit is sourced from estate vineyards located in the Chehalem Mountains AVA. So, it's a wine that's relatively easy to find, but it's also high quality juice, that's made from a great producer. The color of this wine is just starting to change from its normal brimming red color, to a lighter shade of red that is quite translucent all the way through to the core. The edges are turning to an almost rosé type color, which is quite normal and just indicates that the wine has been in bottle for 4 years. On the nose I get some really pretty aromas of cherry, red raspberry, rhubarb, mineral, and subtle hints of baking spice. 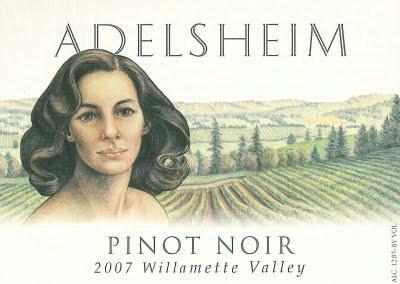 This is textbook cool weather pinot noir and has all the complexity and mineral character of a classic Burgundy, but is just kissed with enough fruit to make it regionally specific to the Willamette Valley. The average moderate wine drinker is more likely to exercise more, to be more health conscious, and to be of a higher educational and socioeconomic class. Evidence that the association between moderate wine drinking and health may be related to confounding factors.